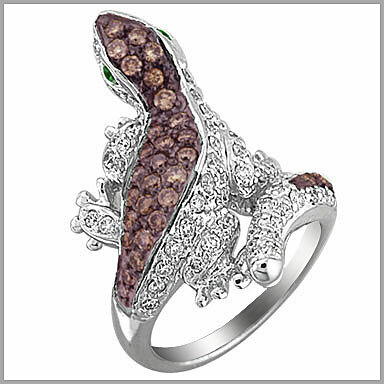 This unique ring is a lizard set with 26 dark brown round full cut diamonds. The undersetting, shank and lizard's eyes are all with white diamonds, all in pave settings. The total weight of diamonds is 1.6275ct H in color and SI in clarity.